Last month, Mahindra-backed Automobili Pininfarina recently made a slew of announcements pertaining to its PF0 electric hypercar. The PF0 electric hypercar concept was shown to prospective buyers at the Pebble Beach Concours last month and now the company has taken pointed steps towards its development. 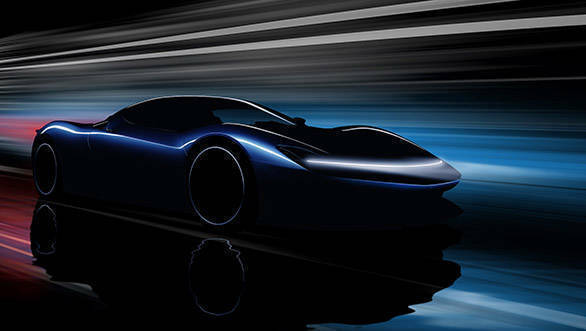 And now Automobili Pininfarina has revealed more images of the PF0 hypercar prototype. The company has confirmed an investment of more than 20 million in a new cooperation with Pininfarina SpA. The company mentions that the investment will underpin the design, development and production of the PF0 luxury electric hypercar and the future range of Automobili Pininfarina cars. Commenting on this development, "This agreement brings us together and marks the beginning of two exciting chapters in our very different histories. For Automobili Pininfarina, it will form the cornerstone of our ambition to become the world's most admired luxury electric vehicle company. For Pininfarina SpA, it delivers Battista's dream of seeing a range of beautiful and highly desirable Pininfarina-branded cars on the roads," said Michael Perschke, CEO, Automobili Pininfarina. To commemorate the strategic alignment between the two brands, two images of the PF0 prototype have been released. 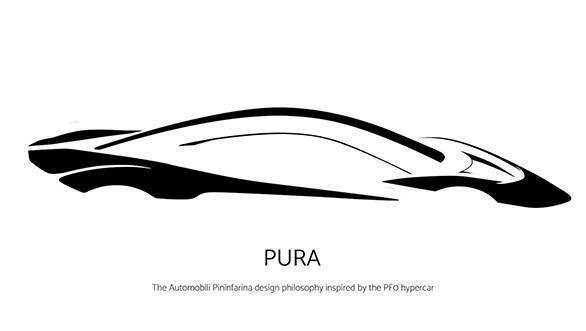 The design sketch that has been released is that of Automobili Pininfarina's 'PURA' design philosophy for both its cars and brand, and represent Pininfarina's famed focus on a balance between design and engineering. 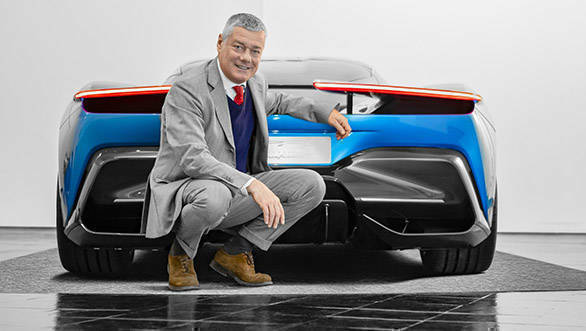 The company describes the design by stating, "With its elegance, simplicity and purity of design, underpinned by extreme technical innovation, PF0 clearly shows how Pininfarina SpA will combine its design, engineering heritage and philosophy into the first-ever solely Pininfarina-branded cars." The PF0 electric hypercar concept was shown to prospective buyers at the Pebble Beach Concours last month and now the company has taken pointed steps towards its development. The most notable of these is the partnership with another EV hypercar maker, Rimac. The Croatian firm will supply the EV powertrain and battery technology for the PF0. This means that the PF0 will closely follow the Rimac C Two in spec. For perspective, the C-Two has a 120 kWh battery pack which powers four electric motors, one on each wheel, for a combined output of 1,940PS and 2,300Nm. All of that can make the Rimac C_Two sprint to 100kmph in 1.97seconds and also reach a maximum speed of 412kmph. It also has a claimed driving range of 650 km. All of those numbers also make the Pininfarina PF0 Hypercar more powerful than the benchmark of hypercars, the Bugatti Chiron that makes 1500PS from a 16-cylinder 8-litre engine. Automobili Pinifarina also announced that it will base its corporate and operational headquarters in Munich, Germany. This will give firm access to the expertise and engineering networks in one of the world's most advanced car market. The city is also in close proximity to northern Italy where Pininfarina SpA is based. The iconic design house will design and build the PF0 hypercar.